1/2.5/6 watt handheld marine radio with built in GPS & NOAA weather with S.A.M.E. 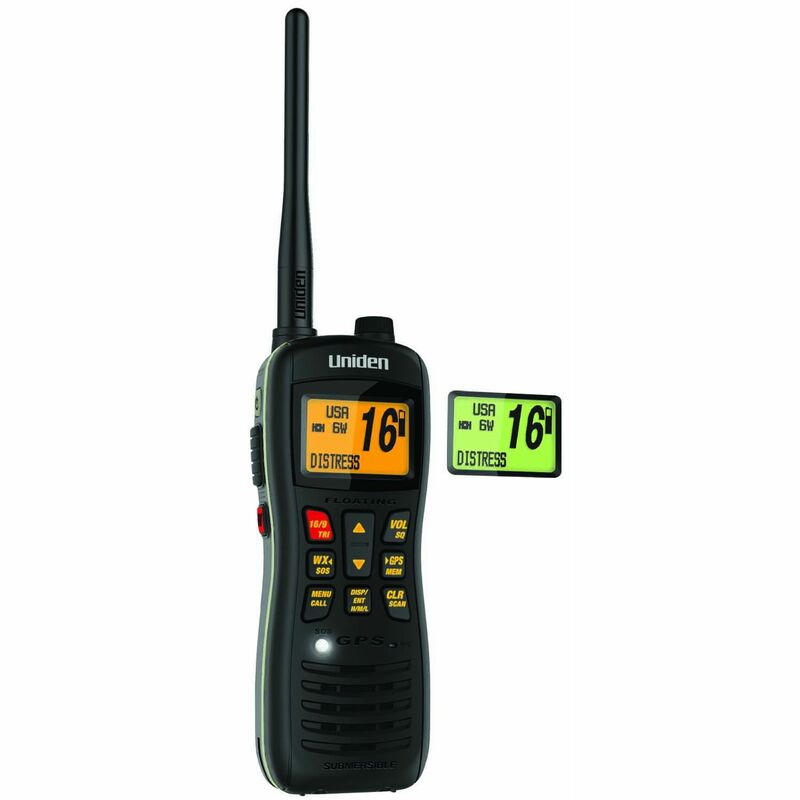 Features CLASS D technology to ensure no distress calls are missed on emergency channels. The Disaster Key (DSC Digital Selective Calling system) initiates a mayday transmission and sends the location to emergency responders, the bright emergency strobe can also be used for sending SOS signals. The large (selectable orange or green) LCD display makes the screen easy to read day or night. JIX8/IPX8 waterproof standards allow for 30 minutes of submersion in 5 feet of water. The radio will float to the surface and the glow in the dark seals & power key allows user to locate submersed radio. Radio comes with speaker microphone, AC adapter, DC charger, charging cradle, 11 hour rechargeable lithium ion battery, an alkaline battery tray & heavy duty swivel belt clip.